Several years ago, my husband and I took a nostalgic trip along Route 66 through the southwestern U.S. 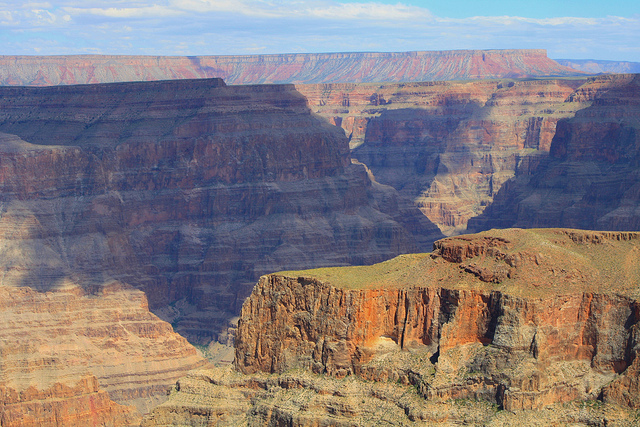 While in the area, we took a side trip to Grand Canyon National Park, which I had visited in my late teens. Visiting the park, I miraculously found myself completely alone walking along the South Rim of the Canyon. I use the adverb miraculously because, unlike a visit there more than fifty years before, one has a difficult time in this millennium finding a place of solitude on the South Rim. Yet, for a few brief minutes, I found that place. Walking along and pausing at the edge of the precipice, with no sound other than the ever-present wind sweeping along the canyon and the thunder in the distance, I was overcome with reverence. Reverence for the place – carved ribbons of varying shades of ochre, gray, and violet, with the scent of sage wafting on the breeze, and the ancients – whose spirits floated majestically and wisely in the air around me. It was an awe-filled moment. Reverence is deep respect, approaching awe. It is a feeling or an expression of honor for someone or something. Along with other be-attitudes of gifted elders like gratitude, legacy, and finding your tribe, reverence requires bringing our gifted intensities to the moment and focusing our awareness on that for which we feel reverence. Below, are a few of the phenomena in my life that spark feelings of reverence. This day. The older we are, the more we need to bring reverence to each day. Opening our eyes is a gift, getting out of bed, beginning our day, these are all moments that we come to honor when we are more conscious that our days are numbered. When I bring my awareness to the first moments of the day, the words of one of my favorite poets come to mind. The natural world. Every day that I am able, the first thing I do each morning is to take a walk. Out the door and along our country road, I view the fields of soybeans that will soon morph into winter wheat, the line of trees with leaves changing to autumn colors, and the mackerel sky forecasting rain. The dew on the grass and the silence of the early morning air allow me to bring reverence to creation. Emotions. I am learning as a therapist that one of the first steps to healing is for my clients to realize that there are no bad emotions, there are just emotions. Thus, I must feel reverence for my joy as well as my anger, my fear of aging as well as my eagerness to see what happens next, my trust that all will be well as well as my caution as I enter new paths. Pain. Our son tells me of a drill sergeant he knew whose favorite expression was, “Pain is weakness leaving the body.” I believe that pain is a natural part of aging, at least for me it is. Thus, I can fight the aging pain that I feel or I can recognize it, honor it, and let it move on. Solitude. Most of my life I have been surrounded by people both at home and in my work life. Now more often, my days are days of solitude and recollection. Notice that I say solitude and not loneliness. Solitude is an interlude that can be revered. It is a time to do the mental work – the life review – that gives meaning to what came before and what is to come. It is a time to honor this day, my emotions, the natural world, and pain. It is blessed time. There are many other reasons in my life to feel reverence and I have just skimmed the surface here. In what ways do you express reverence in your life? 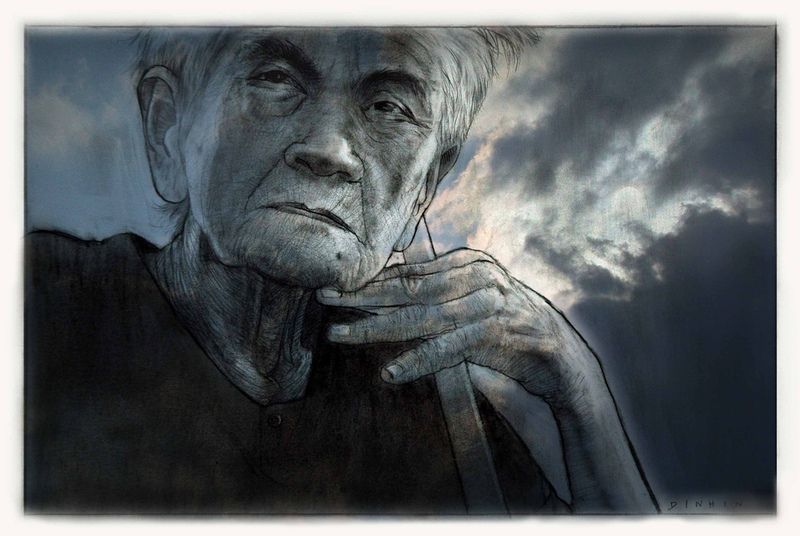 Photo ~ Old Woman in Thailand by Dinhin Rakpong-Asoke on Flickr ~ Public Domain. Photo ~ Grand Canyon View by Leonardo Stabile on Flickr ~ Public Domain.